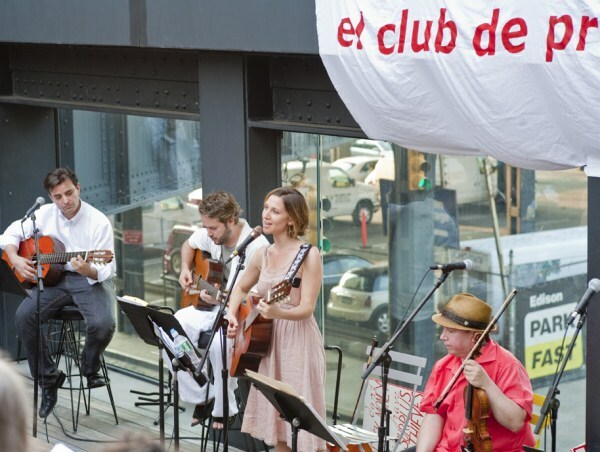 El Club de Protesta consisted in the creation of an association and activity center focusing on the repurposing of the protest song. 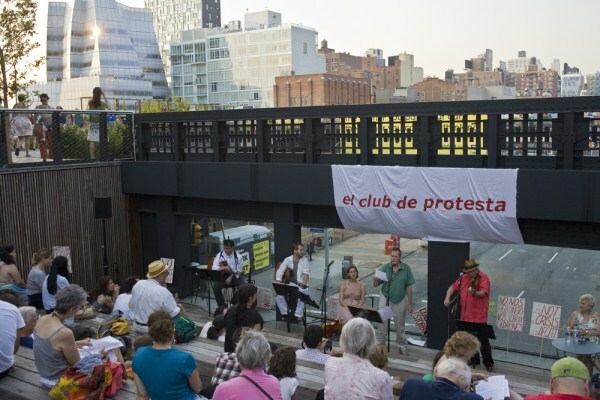 Focusing primarily on the Latin and North American traditions of the protest song and on current issues surrounding immigration, El Club de Protesta held a series of public workshops organized in collaboration with Hudson Guild, a community center based in Chelsea. 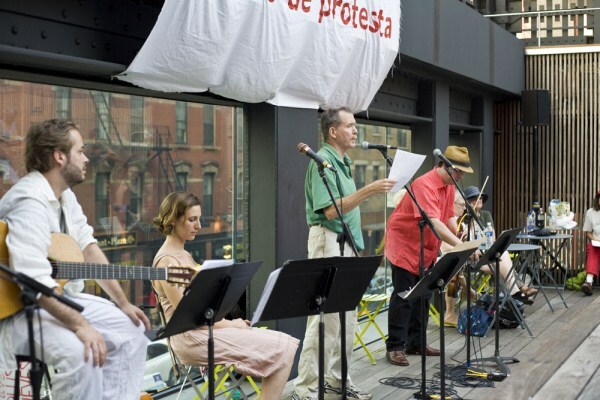 Pablo Helguera and composer Carlo Nicolau led workshop participants in the study of protest songs and guided the collaborative effort to update these lyrics to address current issues. 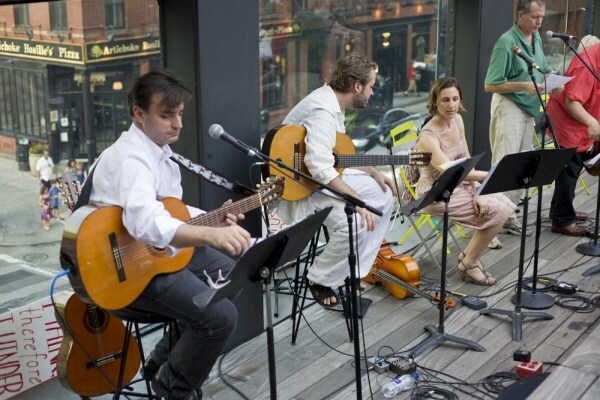 These sessions culminated in public concerts with professional musicians on both the High Line and the Hudson Guild Theatre. 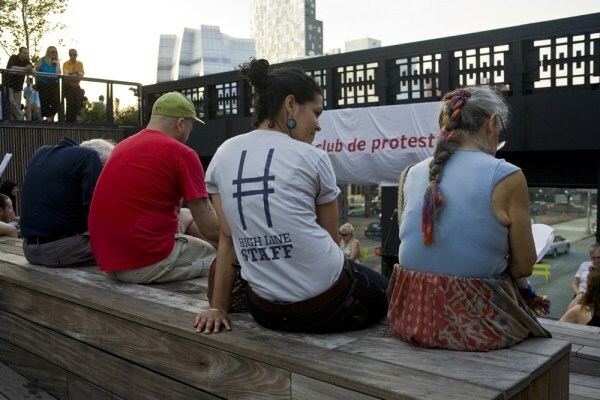 “El Club de Protesta exists with full consciousness of its simultaneous timeliness and anachronism, of the cultural, class and language barriers that distance art from its subjects, of the fact that it is exclusive and progressive— but it is its contradictions that lie at the core of its mission: to bring together opposite forms, disparate ideas, and in so doing to write the new lyrics of current issues and public life.” - From El Club de Protesta’s mission statement. 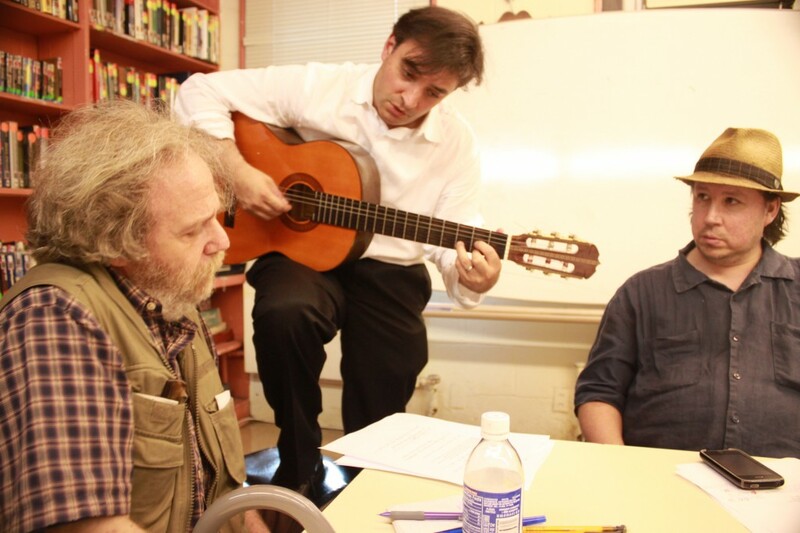 In conjunction with the project, the Bildner Center of the CUNY Graduate Center presented ’The Legacy of Protest Song in Mexico’ on May 2, 2011. 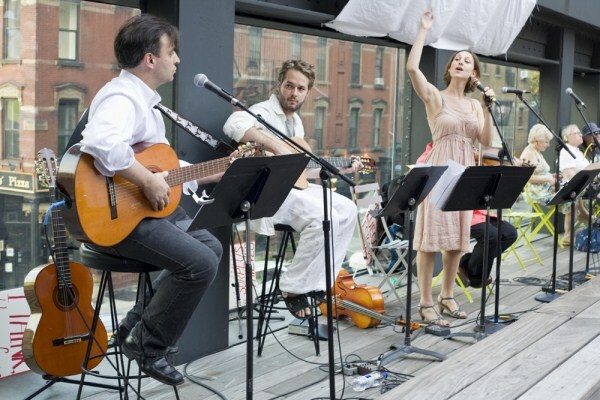 Helguera discussed the legacy of the protest song in Latin America, its relevance in Mexico, and the potential of revitalizing protest songs to address local and current issues. 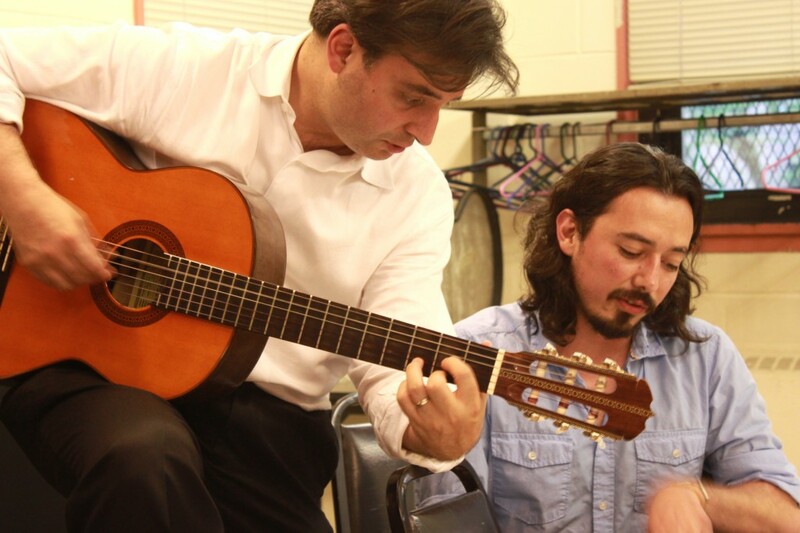 Participants included Eric Zolov (Franklin and Marshall College) and Aldo Sanchez Ramirez (The Mexican Cultural Institute of New York). 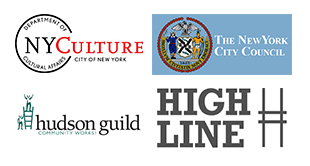 Pablo Helguera was born in Mexico City, Mexico and is currently based in New York, New York. 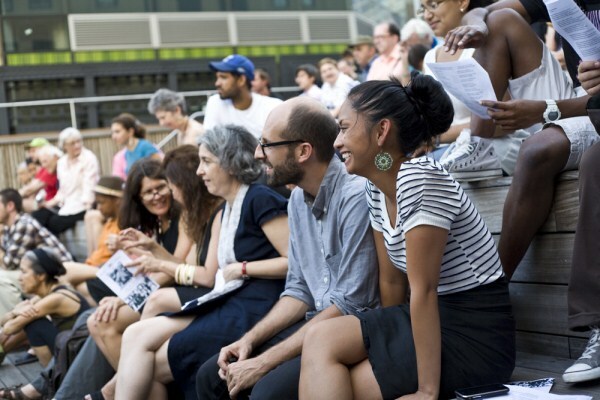 Helguera leads a diverse multi-media practice as a socially engaged artist, author, and educator. 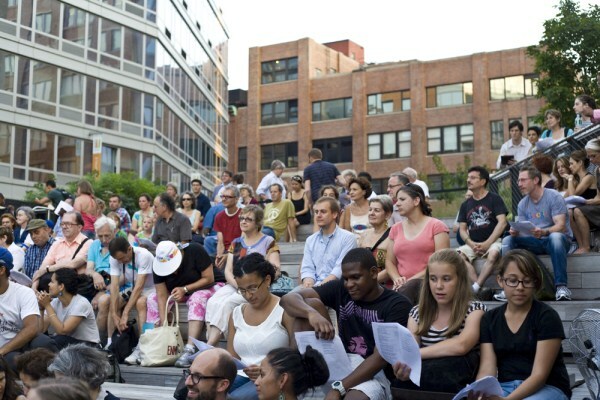 His work has been shown at numerous art institutions, including Brooklyn Museum, MoMA P.S.1, Museo de Art reina, Sculpture Center, ICA Boston, and PERFORMA. To learn more, visit the artist’s website.